A house in Bolton. In the previous photograph a man is seen leaving the house and possibly getting in to a car and driving away (1993.83.09.02). The location of this photograph has not been discovered, but as the negatives which follow on from it are in the Leverhulme Park area this may give a clue to where it is. 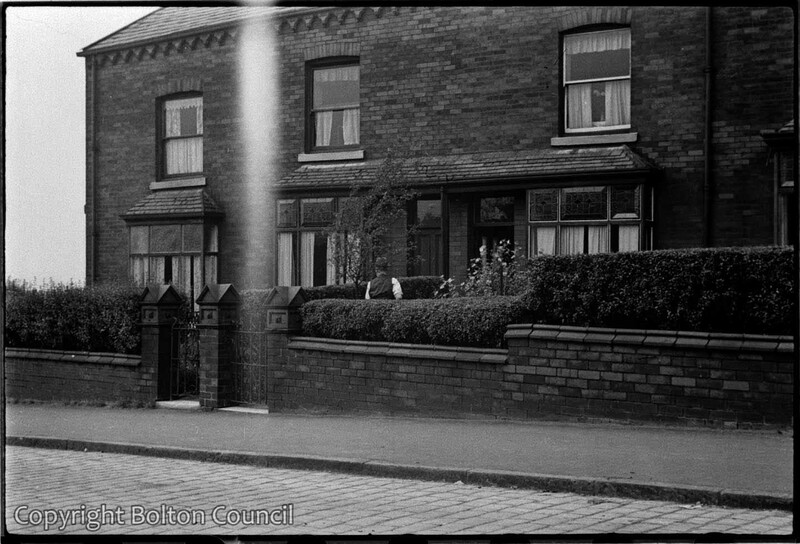 After some discussion (see comments on the related photograph) it is possible that this may have been been taken on Long Lane facing the junction with Swinton Street.